US-based poker staking platform YouStake has filed a complaint in the US District Court for the Western District of Virginia against the United States’ Securities and Exchange Commission (SEC), seeking a declaratory judgment regarding the legality of such poker-staking arrangements. The complaint, filed this morning in Harrisonburg, VA, lists YouStake and its CEO, Frank DeGeorge as plaintiffs, and the SEC and its chairman, Jay Clayton, as defendants. DeGeorge, who has been YouStake’s CEO and largest individual shareholder since its inception, is a Virginia resident, leading to the case to be filed there. According to the complaint, the action taking by YouStake and DeGeorge arises from an SEC investigation into the company that’s been underway for roughly a year and a half. The SEC investigation appears to be part of a government effort to determine whether such offerings represent “securities” in the formal sense, and whether they would fall under the SEC’s regulatory overview. On April 12th, the SEC issued subpoenas to YouStake and DeGeorge for the provision of documents in an investigation titled “In the Matter of YouStake.com (LA-4662).” YouStake and DeGeorge provided thousands of pages of documents to the SEC, and on March 28, 2017, DeGeorge himself arrived at the SEC’s Los Angeles office, accompanied by counsel, where he offered additional statements regarding YouStake’s operations. 25. As the Investigation has continued, however, it has become increasingly evident that the SEC is unable to identify any specific statute or regulation contravened by YouStake’s operations. 26. While YouStake and Mr. DeGeorge are not privy to any aspects of the Investigation of which they have not been given notice, it is increasingly apparent that the SEC is unwilling to close the matter despite the clear absence of any violative behavior. 27. Compliance with the Investigation, coupled with the cessation of staking activities undertaken in furtherance of demonstrating goodwill in the Investigation, has cost YouStake hundreds of thousands of dollars. 28. So long as the Investigation is pending, YouStake cannot prudently recommence normative staking operations, is significantly hampered in its ability to raise operating capital as a startup company, and exists with a Damoclean sword over its proverbial head, paralyzed from conducting normative commerce. One of YouStake’s core business functions is the provision of “staking” services to members of the public. The staking model is aimed at individuals players interested in tendering an entry fee to participate in a contest with monetary awards, allowing such individuals to crowdsource part or all of such entry fee to the public in exchange for providing members of the public (“backers”) with an interest in the player’s monetary outcome. YouStake was originally created to remove such staking transactions from the black market – where they have long flourished in a world rife with fraud and theft – and to create a mainstream mechanism for such transactions to be conducted with significant player and backer safeguards in place. 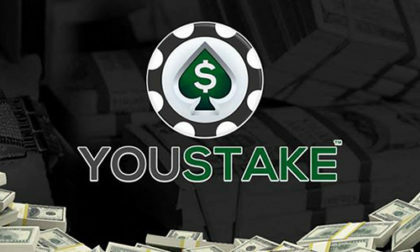 YouStake permitted players to list staking opportunities on its website, creating a clear record of which individuals were staking which players, ensuring such individuals were tendered monies rightfully belonging to them if and when the player was successful in the correlative contest, and otherwise streamlining the staking process in an open and transparent manner. YouStake never owned any portion of an individual stake, held no contingent interest in the outcome of any individual stake, and collected money solely as a processing fee pegged to the monies paid by a member of the public to participate in the staking process. YouStake does not offer any interest in itself or its profits. YouStake started operations in 2015. It may have come under the watchful eye of the SEC in Jamuary 2016, when it was accepted by venture-capital group 500 Startups for a four-month-long accelerator program designed to increase YouStake’s search for additional operational and marketing capital. Whether or not such staking platforms are legal has long been a hypothetical debate in the poker world. This case, if nothing else, will remove the hypothetical from the argument. YouStake’s complaint offers a strong defense for its operations, not only within its operational framework, summarized above, but in the midst of this SEC investigation as well. There’s more than just the SEC foot-dragging, though, that YouStake can argue in its push for a declaratory judgment. According to the complaint, YouStake and DeGeorge attempted to do the right thing regarding any possible securties-related filings that needed to be done, going so far as to file paperwork in early 2017 with the SEC and the Financial Industry Regulatory Authority (“FINRA”) as a crowd-sourcing portal. [Update: However, and it’s important to note via this post-publication addition, that YouStake has continued to offer services under a private-registration business model. The existence of such a members-only framework is likely a legally moot point in any argument over staking services’ legality, since such legal questions center on the core service, not on how is marketed. YouStake’s attempt to remove poker-staking platforms from any possible legal grey area is the latest development in an area of discussion that’s been talked about for a lot longer than just YouStake’s operational timeframe. The first such poker-staking software sites appeared in late 2008 and early 2009. Continuing the backstory, among those early sites was a site called ChipMeUp, enthusiastically championed by the then-primary owner of PokerNews, Tony G (Antanas Guoga, now a member of Lithuania’s Parliament). At the time, I was working as PokerNews.com’s editor-in-chief, which brings up one of those stories. During the 2009 WSOP, Tony G instructed me to insert text ads pimping ChipMeUp into PN’s live-reporting stream. I was already mindful that CardPlayer had considered offering a similar staking service but had chosen not to do so out of concerns that such staking would be looked into as a form of unregistered securities trading, the very same dilemma now facing YouStake. But I had a far different reason for declining to insert those text ads: PokerNews’ live-reporting stream was being picked up and run on WSOP.com that year, and such an ad insertion was a violation of the partnership’s legal framework. And, I specifically told Tony G, in person, just that: Inserting those ads into the live stream would violate his deal with the WSOP. Within 24 hours, he did it anyway, instructing one of the floor reporters to put them in directly. They were all yanked within another 24 hours, regardless, once the WSOP saw them. It was a contributing factor (albeit not the primary one, IMO) to why I was no longer employed at PN a few weeks later. Ahhh, poker memories. But I digress… big time, amid such a developing story. Staking deals such as these have come into the legal limelight before, just not involving poker. There was the 2007 case of Betcha.com, a Washington State-based operation that tried to link bettors online who wanted to bet opposite sides of a given sporting event. Betcha.com’s offices were soon raided and the service shuttered, because it was deemed by prosecutors to be “facilitating” an illegal activity (sports betting) even though the site itself extracted only a set fee from arranging the bet, while not being part of it. Poker is not a de facto illegal activity, such as sports betting, and thus shouldn’t suffer a similar fate. However, in Billy Baxter style, it likely will take a lawsuit such as YouStake’s in order to make that happen.